Are you performing due diligence on Guangzhou Pinzhi Display Co from Guangzhou China who sells Jewellery? If so, read on below to read one buyers experience when trying to buy Jewellery. 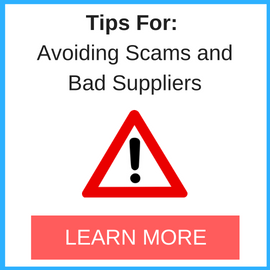 You will also find some links to help you find more related information about Guangzhou Pinzhi Display Co on Supplier Blacklist and on Google as well as other bad suppliers of Jewellery reported here on SBL. We meet the sales manager Jojo and Mr. Zhang their CEO in Hong Kong Trade Fair in search of our within budget range to create our merchandising for our flagship shop relaunch this coming valentines since early November. We went to their office at Guangdong to look at their product in the showroom they only focus on the range of cosmetic product and jewelry display and our designer confirmed this is what they needed to produce our merchandising. Due to the complexity of the design, we were guaranteed that the order will be personally follow up with Mr. Zhang (their CEO) and the assistant of Jojo (their sales manager) After that, we visited their factory just a few blocks from their office for us to close the deal and we came up with an agreement to finish the order before Valentines. After 30% of the payment deposit, my designer personally follows up the process and things are starting to go upside down. Their service starting to go down after the paying the deposit. Late reply to our message and question, pick up service in the terminal everytime we went to Guangdong starting to be late instead of punctual compare for the first time. Wasted our time every time we went to check the process, it can see that they are lack of labor to finish the product on time. 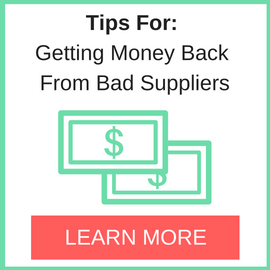 The product came out in error more than 3 times that needed a redo and causes more time. After filling a complaint and been told that we needed the product in the first week of February due to cooperation with big names company for promotion they said that they will try their best to finish it. (But how can they have the guts to say they will try their best if the order said finish in 90 days since November??). The product should be done on the January 30 the latest ! After all the last day before they ship our product they send us some picture regarding the merchandising, lots of them are ok but they avoid one of the important product which is the Jewellery Display Box, after i told them to send me the picture they hesitate and used more than an hr to send me to photo. Once we received the photo and investigate the problem we decided to not have the product ship and to postpone our event it was a complete disaster! Investigate first if they do have the manpower to do it. CRM really bad, it made their clients really upset and worried. Unprofessional in the processing procedure until finish, only professional in the beginning. Should finish the product on time within the estimated delivery date in the order written. Need More Info on Guangzhou Pinzhi Display Co? 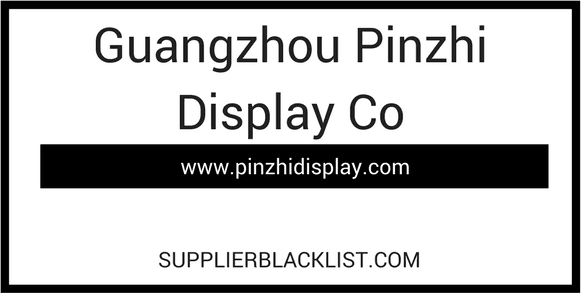 If you need more information, you can click the below links to search for more submissions about Guangzhou Pinzhi Display Co on Supplier Blacklist as well as go to the search results page on Google for more reviews online about this company. Perform a Supplier Blacklist search for more reviews on Guangzhou Pinzhi Display Co.
Search Google for Guangzhou Pinzhi Display Co Reviews.